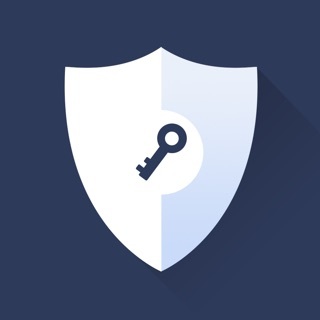 AVG Secure VPN & Proxy for iPhone & iPad helps you stay safer and protect your identity and information while connected to the internet. * Private, anonymous browsing – when using AVG Secure VPN & Proxy for iPhone & iPad, your internet connection will appear to originate from a different virtual location. Use it to hide and anonymize your banking logins, chats, emails and payments. * Public WiFi hotspots connection encryption - our private encryption VPN ‘tunnel’ prevents hackers and thieves from stealing your data via public/open WiFi hotspots. * VPN on/off dashboard widget - a simple one-click widget for turning on your secure connection. Best for quick hotspot shield security. Our service protects you from data theft by using a virtual encryption shield ‘tunnel’ to secure your public/open WiFi connections. Once secured, your communications are impossible to spy on. Our virtual private network also provides you anonymous web browsing which hides your personally identifiable information from the websites you visit. The changing of your IP address (virtual location) is done via our proxy servers. You will be automatically charged once your trial period ends. Your subscription will automatically be renewed unless canceled at least 24 hours before the end of the active period. Auto-renew may be turned off by going to your account settings after purchase. Any unused portion of a trial period, if offered, will be forfeited when you purchase a subscription to that publication. We have had AVG anti virus on our laptops for years . 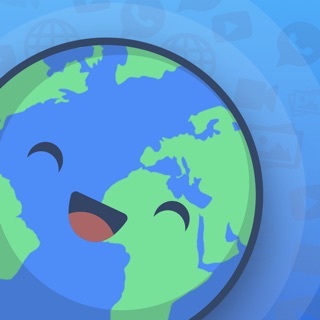 We have grown to trust AVG.I was very happy to find that they developed a VPN for the iPhone ! I had problems with the VPN not staying on consistently. I received a very prompt response from the support, at their prompting reinstalled it from the App Store , pushed the little wheel and turned WiFi and cellular with the green dot to the right( which is “on”) . My AVN has been on consistently for 24 hours so far : fixed . I’m glad to have this, as I travel internationally and need to go on all WiFi , even at airports . I pay annually and see that I have the discount : Nice! The App said it supports Family Sharing with up to 6 family members to use the app with Family Sharing enabled. Guess what? It doesn’t. Customer service “clarified” that you have to use the same Apple ID. The whole idea of Apple family sharing is so that the purchase can be shared among family members with different Apple ID. I downloaded it because we have used AVG for years on PCs. But there seems to be better, at least higher ratings VPN for iOS on the market, so I’m not really sad to cancel the subscription after the free trial. Will be checking out VPN 360 etc. On the bright side though, the AVG VPN works well and fast - would have been happy to keep it if it’s not for the subscription sharing problem. This is slower than other vpn apps I have used. Just updating this review. This app disconnects my vpn minutes after I lock my iPhone screen. I use pia vpn and it always stays connected so back to pia.